It's one of those weeks where there just doesn't seem like there are enough hours in each day. My husband worked 2nd shift the past two nights and jumped right back into first shift today. Things have been a little backwards in our house, as my husband doesn't work 2nd shift very often, and I'm ready to get back to our normal routine. I haven't been focusing much on tracking what I've been eating this week but, that is going to change starting today. I believe that the act of "going off track" isn't as important as how long it takes you to get back on track. I am not letting another day pass without putting a little more focus back on myself and my health. Readers, fess up. 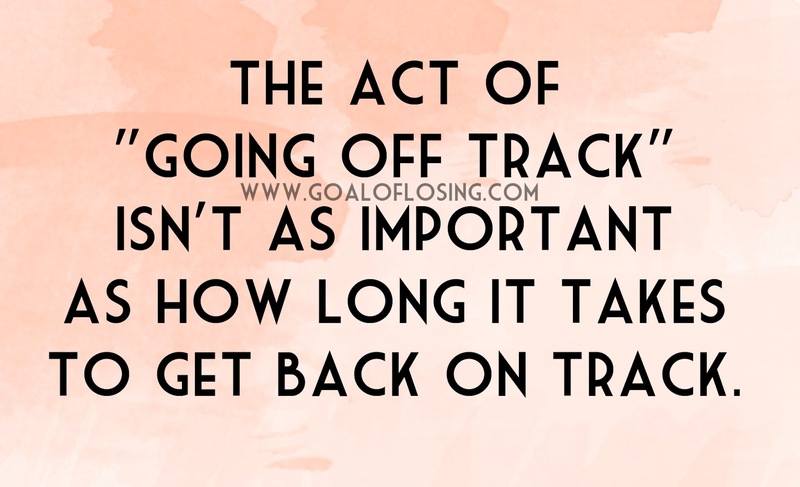 Who hasn't been on track with their goals lately, and tell me what you are going to do to get yourself back on track today! I am going to log everything I eat, drink all of my water and report it on my photo-food-log on Instagram.